Our CVFR junior have done us proud at the West Yorkshire xc finals. 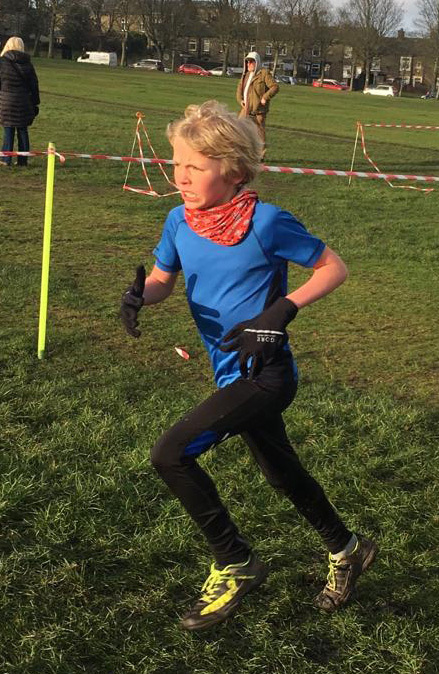 Following a number of local cross-country trials in Mytholmroyd, and a Calderdale cross-country finals in Halifax over the winter, 12 CVFR year 3 to 6 Juniors were selected to run for Calderdale in the West Yorkshire Cross-Country Championship finals in Temple Newsam, Leeds on Wednesday 6th March. 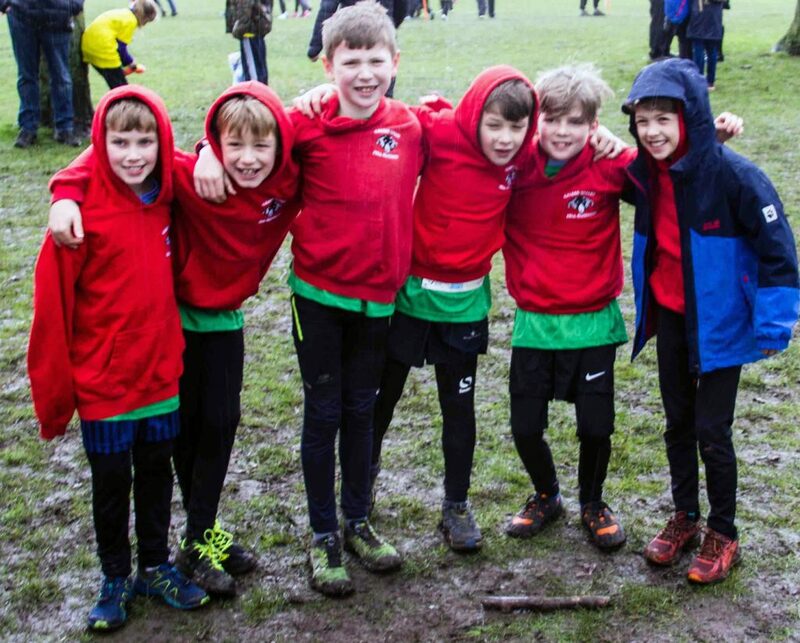 They all did a tremendous run in challenging weather conditions in true xc style of rain and mud against more than a 100 -150 fellow cross-country runners in each race, from Leeds, Kirklees, Bradford and Wakefield with some very impressive results. Harry Cliff won 1st boy in his year 3 race and Clara Mckee finished in 2nd place in year 4 girls, both received medals. 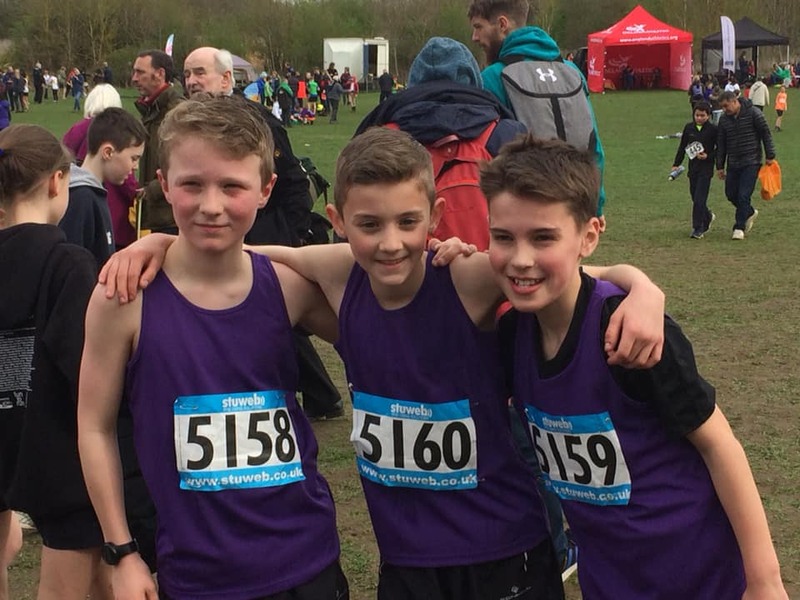 The others who did an excellent run were year 3 boys Leo Hackett (29th) , Lennon Wilson (37th), Joseph Rochester (54th) and George Brice (61st). 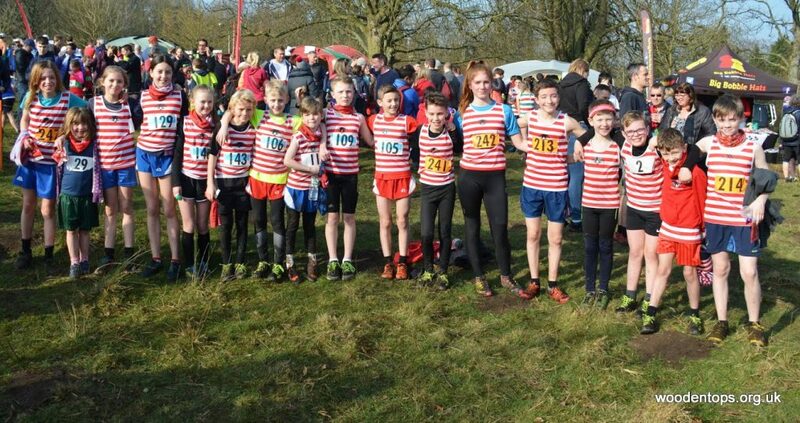 Joseph Stone (5th) from year 4 boys, year 6 girls Olivia (18th), and Fearne Hanson (29th) and year 6 boys Thomas Mckee (13th), Ollie Pickens (59th) and Wynn Standish (66th). Luckily the mist cleared to provide perfect running conditions at the very popular Ilkley Moor Fell Race with these races providing excellent tough courses for all ages groups. Fondly known as the “racing snakes” group this was the first championship race for Calder Valleys junior who enjoy going to races. The race distances for each group are different according to the age category, with it being shorter for the younger ones up to longer distances and more climbing for the older ones. Our top performance on the day was from Harry Cliff who stormed the Under 9sto get a very assured first place in 3mins 31 seconds and new course record. His team mate, in the same age category, Rafe Dobson placed a great 8thin 3min 58secs. In the under 11s Joseph Stone was 5th in 7min 14secs; 14th Sam Annison 7min 35secs and only 5secs behind in 15th Leo Hackett, 23rd Ted Parker 8min 13secs; In the under 13s 5th place for Charlie Pickens in 6mins 30secs and 9th George McFie in 6mins 42 secs, 16th Ollie Pickens 7min 24secs, 6th girl and 19th overall Olivia Falkingbridge 7min 31secs, 21st Wynn Standish 7min 45secs, 9th girl and 25thoverall Fearne Hanson 7min 51secs, 20th girl and 43rd overall Eve Dobson 9mins 10secs; Under 15s Alex Duffield placing 7th in 13min 56 secs, 9th Elijah Peers-Webb 14min 12sec and 13th but not unlucky Tom Owen in 14min 46secs, 21st Leo Illstone with his twin sister Evelyn placing 29th overall and 12th girl ; and in the under 17s Maya Brunt, 3rd girl and 11thoverall in 17min 07sec. Particularly impressive runs from Joseph Stone, Leo and Evelyn Illstone, Tom Owen and Maya Brunt as they’d each stepped up into the next age bracket. A wonderful start to the season. CVFR’s juniors concentrated more on parkruns this last weekend. Notable results included Joseph Stone, who finished 4th in the Huddersfield Junior Parkrun in Greenhead Park. 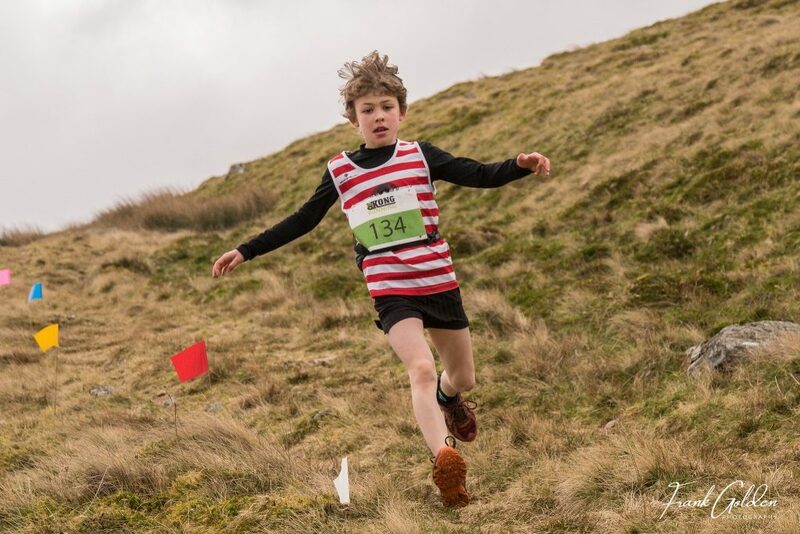 In Halifax, Harry Cliffe continued his slew of impressive fell running performances with an incredibly strong run in his first time at this race. Harry not only knocked 1.5 minutes of his previous best 5k time at Brighouse parkrun in 22 minutes & 26 seconds, but now holds the 2nd fastest ever time for under 10s for the Halifax race. 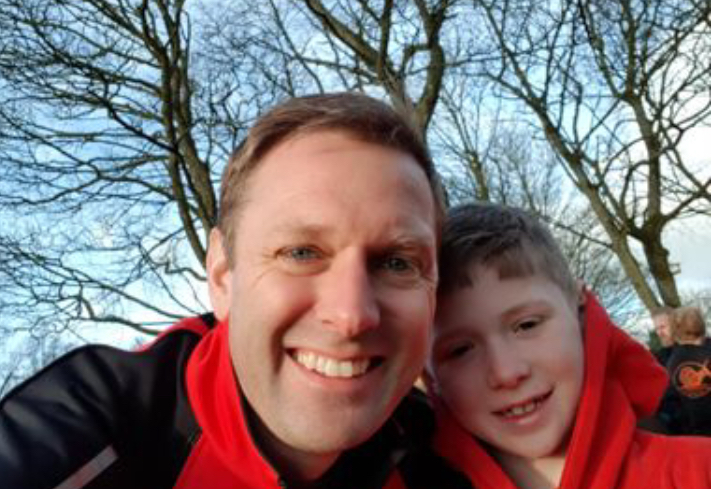 Finishing 15th overall out of 246 runners – piping Dad Ben to 16th overall by only 1 second – is all the more impressive bearing mind that Harry only turned 8 in January! Several Calder Valley Juniors took part in this competition last Thursday. The top 10 individuals go through automatically to West Yorkshire Games in Leeds. So well done to all the racing snakes.